Are you looking for land for sale in Bath and North East Somerset or even a renovation or conversion opportunity? Plotfinder.net holds a database of building plots in Scotland, England, Northern Ireland and Wales. Above you'll find links to the latest properties for sale in the Bath and North East Somerset area. 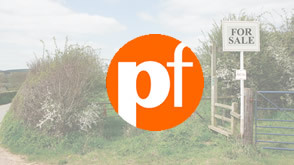 You may also be interested in looking for land for sale in the counties surrounding Bath and North East Somerset such as; Somerset, North Somerset, City of Bristol, South Gloucestershire or Wiltshire. Use the search box above to refine or change your search criteria. Property listed for the Bath and North East Somerset region includes; building plots, renovation and conversion opportunities, lots sold by auction and property for sale by private sellers. A Victorian Country Home: A renovation of a grand 19th century property with restored original features. Contemporary Remodel in Bath: Nigel Mitchell spent over a decade working out what to do with his 1980s home on a great plot in Bath. He ended up with a radical solution. A Conservation Area Home: A contemporary cedar-clad home built on a conservation site in the historic city of Bath.